Simon Degroot, Anterior Verdure, 2019. Oil on canvas, 122 x 107cm. Courtesy: the artist and THIS IS NO FANTASY, Melbourne. Anterior Verdure is an exhibition of new paintings by Simon Degroot exploring interactions between botanical forms and the built environment. 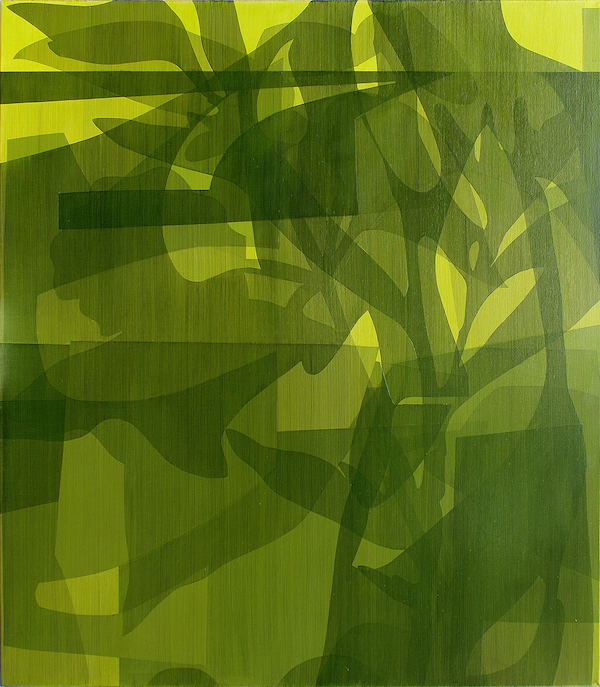 Abstracted plant details are applied in translucent layers over graphic forms to create complex imaginary landscapes.